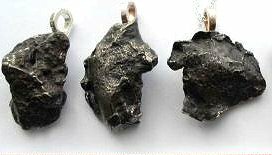 Iron meteorites are fragments of the nickel-iron cores of planets, released during cataclysmic collisions! 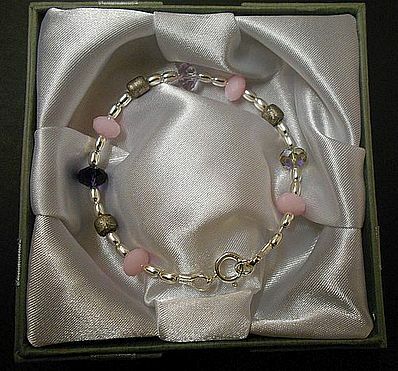 These two bracelets have been made to a neutral /pink colour scheme. 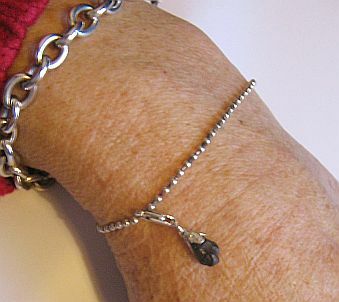 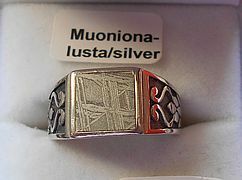 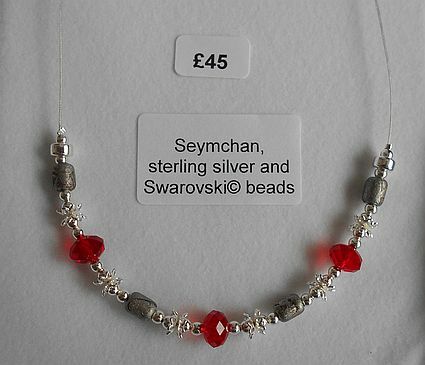 All of these bracelets measure a minimum of 18 cm, depending on silver beads used. 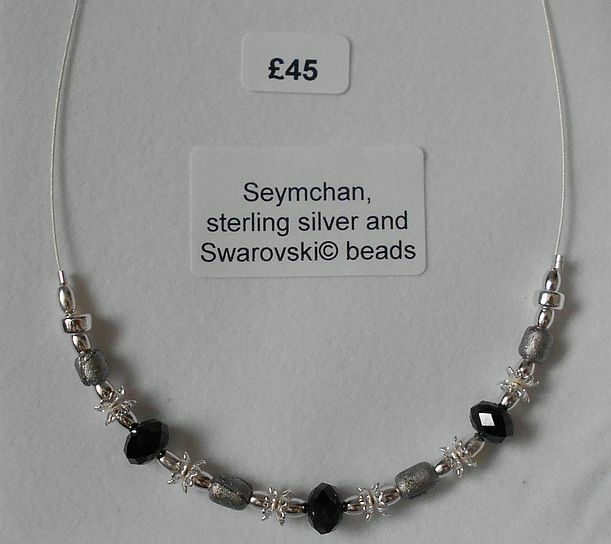 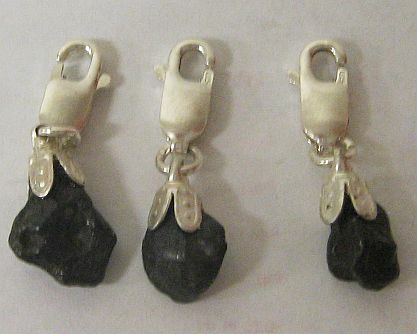 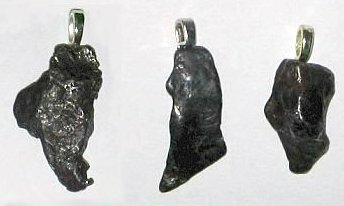 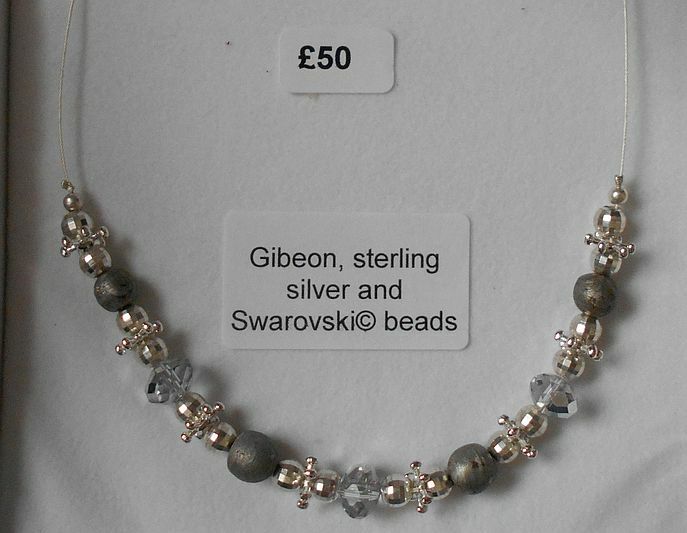 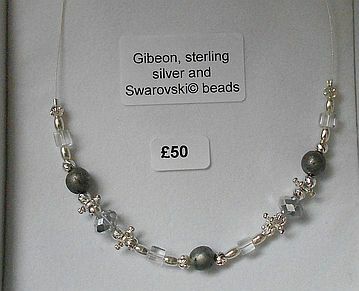 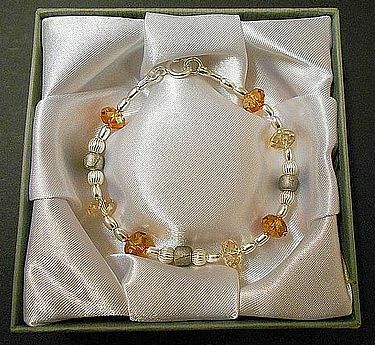 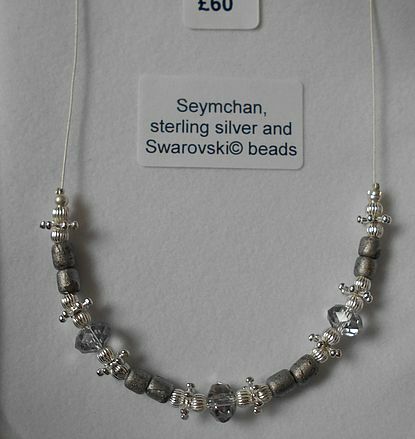 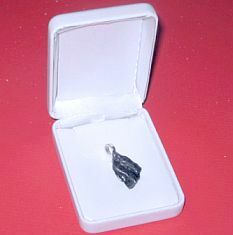 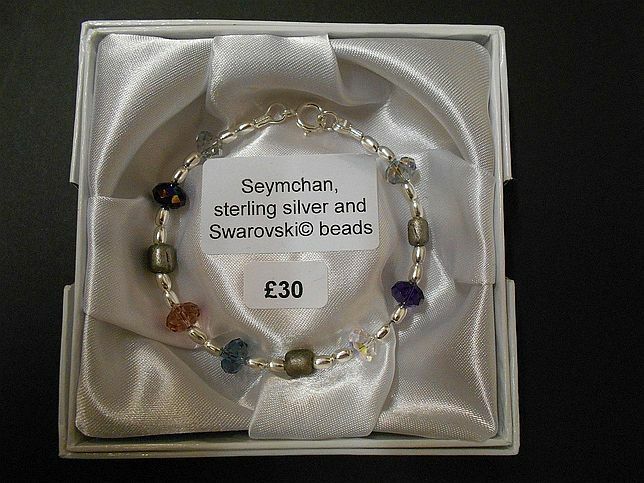 All genuine Swarovski© and Seymchan meteorite beads. 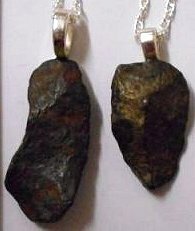 from polished, etched and sealed slices of the spectacular Seymchan pallasite (left)and Muonionalusta siderite (right). 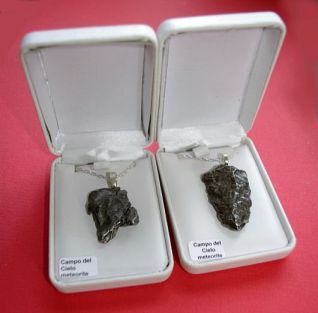 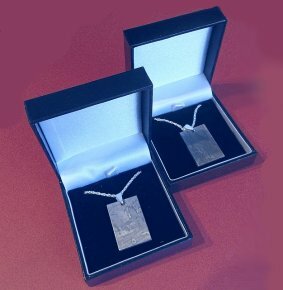 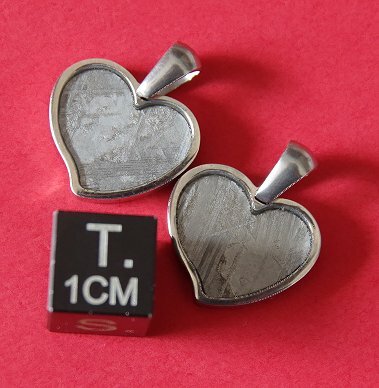 Totally stable and mounted in stainless steel with sterling silver chains, these fabulous items are sold in presentation boxes at just £20 each. 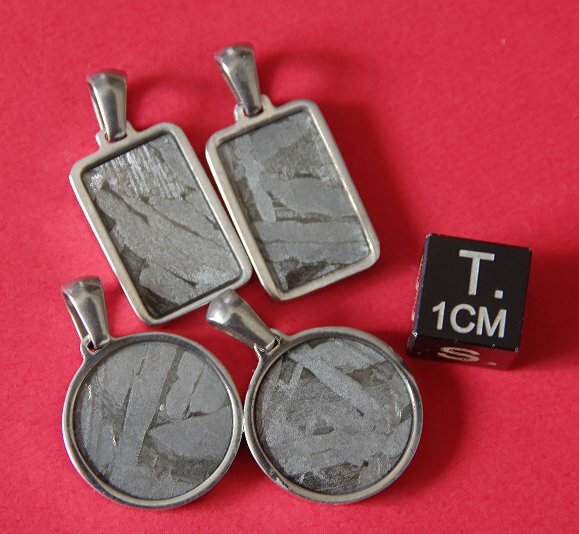 The backs are mirror polished. 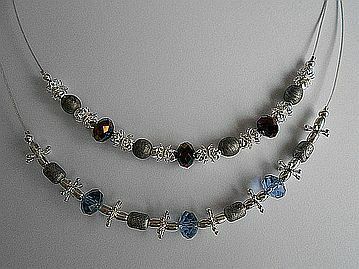 the left one has Light Siam crystals and the two on the right are Rainbow Dark and Light Denim. 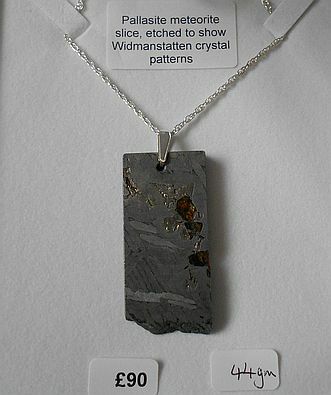 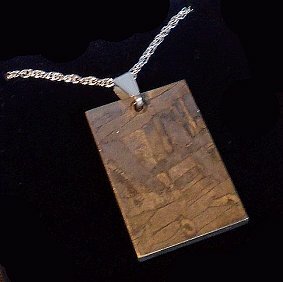 This is now the only one left of five Seymchan Pallasite pendants. 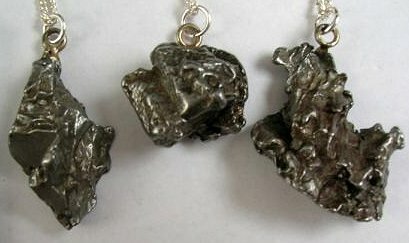 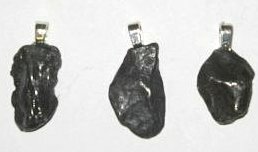 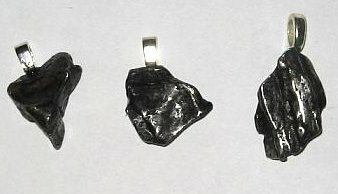 The Gibeon iron meteorite was discoveredin Namibia in 1838. 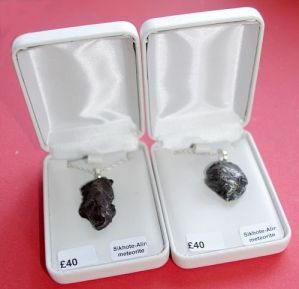 £50 (left) to £35 (right). 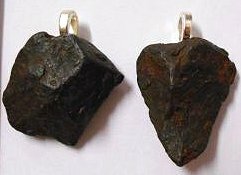 Sikhote Alin irons at £10 each.